Archives for July 2012 | Your Health. Your Lifestyle. Turn your dip in the pool into a fast–paced cardio jam. While lightly treading water burns about 4.5 calories/minute, you’ll use up twice that number if you swim laps. Make it more enjoyable by setting up mini–races with friends and family, or initiate tag games to reap the metabolic benefits of interval spurts. Try the highly aerobic sport of water polo, which not only works your heart, but your arms and legs too. With its call for quick movements, big jumps, and upper–body actions, a game of volleyball can leave you panting and sweating. But while you can expend up to 300 calories/hour serving and spiking, you’ll double that amount by taking it to the sand. It’s no wonder kids love to pedal on 2 wheels. Cycling liberates the senses and speeds up your locomotion so you feel like you’re flying. All the while the activity burns fat and strengthens leg muscles. 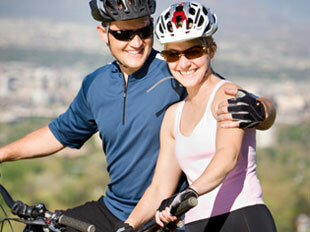 Take to the bike path for an afternoon ride and use over 400 calories/hour — more if you journey across rugged terrain. 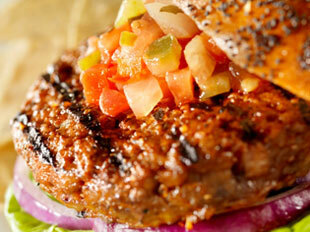 Before throwing your patties onto the grill, knead a little pizzazz into the beef. Combine salt, pepper, cayenne, crushed garlic, chopped onions, and oregano. The flavor will be vibrant enough that you reduce condiments, which often add unwanted salt, fat, and sugar. Ditch the ketchup, which is laced with high–fructose corn syrup and sodium, for a little southwestern flair — spice up your burgers or dogs with salsa. You’ll cut calories, plus the jalapenos, cilantro, and garlic bump up your immune system with their antimicrobial properties. While barbeque sauce is a tangy delight, it’s as guilty as its tomato cousin when it comes to added sweeteners and calories. Try Dijon mustard to heighten taste instead. Look for marinades that contain hot peppers, ginger, allspice, and sesame, which contain antioxidants that benefit health. One study concluded that basting your meat just before serving, as opposed to before cooking, can deliver the highest dose of free–radical fighters while stimulating savor. While follicle flaws like graying or baldness simply slide down the family tree, others derive from external factors. In fact, your locks don’t just accentuate your look; they often reveal your health. But whether split ends stem from too many color treatments or a more serious issue, you’re right to tend to the condition of your tresses. Loss: Shedding a few strands as you brush is no cause for alarm. Your head says goodbye to about 100 hairs a day. But some conditions can cause more extreme thinning. Thyroid dysfunctions, eating disorders, and iron or protein deficiencies can all shut down hair production. Eat enough protein (about 50 grams/day for women and 60 grams/day for men, depending on age and lifestyle), like eggs, fish, and whole grains that contain all essential amino acids. Frizz: Too much blow–drying, styling, and ponytail–wearing can rough up your hair. But brittle bangs can also indicate a dietary shortfall in healthy fats, vitamin A, and selenium. Choose more foods like wild salmon, flax, spinach, and walnuts to help revitalize your strands… and dial back the use of hair products and devices. Flakes: Even though dandruff can signal eczema or psoriasis, hormone imbalances, or immune disorders, some experts believe the overgrowth of a common skin flora triggers the rapid cell turnover that leads to flakes. Try washing with tree tea oil shampoo, which has antifungal and antiseptic qualities. 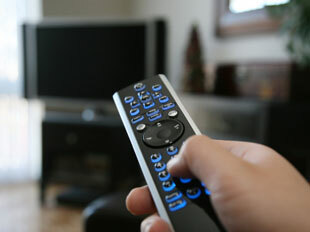 Today’s lifestyles promote sedentary behavior. Between driving to and from work, typing at our desks, communicating electronically, and even ordering take–out for dinner, few daily responsibilities can’t be accomplished from a seated position. But all that sitting is wreaking havoc on our health, from back injuries to poor circulation to obesity. Stand up. By getting off your bum and planting your feet firmly on the ground, you can burn upward of 50 more calories/hour than staying glued to your chair. The phenomenon is known as Non Exercise Activity Thermogenesis (NEAT): low–exertion movements like fidgeting or shivering that burn energy. Plus, standing promotes clarity and takes pressure off your compressed spine. Pace. It might look like a nervous habit, but pacing has its benefits. Not only will you up your metabolic rate, you’ll draw inspiration when you’re mentally clogged. Use delays like waiting for your restaurant table or for an appointment to walk back and forth. Bop along. Turn up those tunes and tap your feet or bounce in synch. You’ll engage the NEAT processes and shake out your legs at the same time. Everyone struggles with discipline, whether it’s saying no to seconds or hitting the gym instead of crashing on the couch. But without self–discipline you can’t be truly free to live. While that may sound counterintuitive, since liberation is seen as an unshackling of chains, it all depends on how you look at it. After all, an inability to resist temptation means it dominates you, not the other way around. And even science backs the notion that physical health depends a lot on your mental game. Be conscious. Know what your worst habits are. You can’t break from them if you don’t recognize them. Be vigilant. Avoid justifying negative actions simply because you’re drawn to them. Stand back and objectively observe whether it’s good or bad to give in to your whim (whether it’s gossiping about a coworker, biting your nails, or lighting that cigarette). Once you’ve accepted there’s work to be done, you can take the first active step. Be inspired. While peer pressure isn’t everything, one study showed that self–control, or lack of it, is contagious. Look for role models who exert the kind of self–discipline you want to develop and join forces with others who share your beliefs. If you’re surrounded by people who make healthy choices, chances are you’ll follow suit. While blueberries are plump in cancer–fighting antioxidants, new research is shedding light on a host of other nutrition advantages. It appears blueberries may reduce the effects of intestinal disorders, help trim belly fat, aid cognitive function, decrease risk for metabolic syndrome and diabetes, and strengthen the immune system. 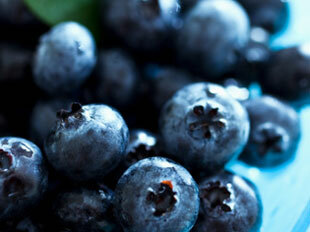 Look for berries that are firm and dark with a pearly sheen. Shake the container or bag (if frozen) to see if they move freely — if they don’t, it could indicate the berries are overripe, moldy, or have been thawed and refrozen. To preserve quality, avoid washing them until just before serving to reduce moisture contact, which speeds up spoilage. Sprinkle blueberries on top of yogurt to enhance their positive effects on the gut — the fiber in blueberries seems to absorb inflammation–causing substances in the large intestines. One study found that the berry combined with probiotics enhanced the growth of immune–supporting microbes more than good bacteria alone. Drink up blueberries in the form of juice. Not only does the fruit perform similarly to cranberries in aiding urinary tract health, new evidence suggests its phytochemicals responsible for preventing other diseases may also enhance memory and slow down mental degeneration.